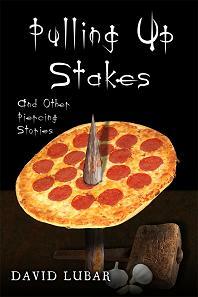 Many things can pierce—sharpened stakes, fencing swords, cat's claws, short stories, ideas, earrings, and love, to name just a few. This collection of eleven penetrating stories, gathered from my contributions to YA anthologies, contains some of my favorite pieces, including a slapstick account of a young man sent on a mortifying mission by the girl he loves, a tale about the mysteries of faith and belief, and a comedy of errors where a Transylvanian immigrant arouses suspicion in the darkness of the Alaskan winter. I've had the pleasure of writing short stories for the best anthologists in the YA world. Now, I have the pleasure of sharing those stories with my readers in one sharp collection. Get it for your iPad at the iTunes store.